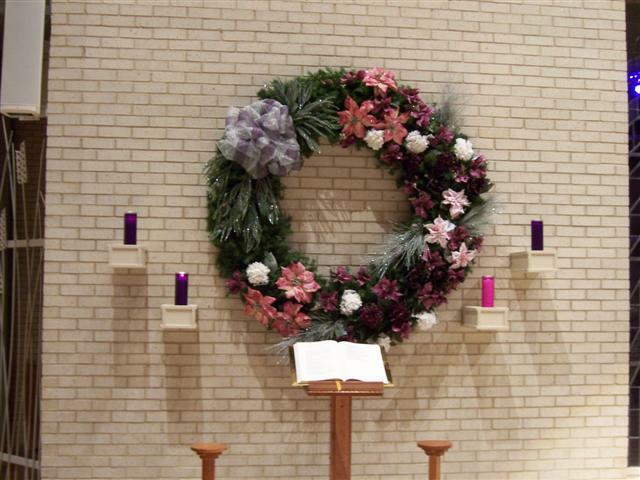 Advent; is one of the religious and cultural wreaths that is traditionally used during the Christmas season. Advent is a preparation season of four weeks that lead up to the birth of Christ. Typically there are four candles one lit each Sunday along with prayers and or a Bible reading. Catholics- Three purple and one pink. This correlates with the liturgical vestments worn during advent. Lutherans- Three blue and one pink or white, blue symbolizing hope and waiting. Protestant- Four red candles Keeping with the traditional Christmas colors. 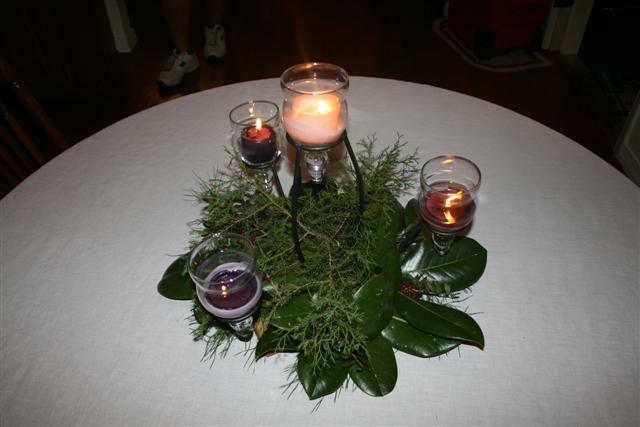 Most Advent wreaths are made of evergreen and lay on a table. They have four candles sometimes a fifth candle in the middle to be lit on Christmas day. But not always, as you can see this church Advent wreath hangs on the wall with the candles around it. This is very beautiful and was made by someone at my church. 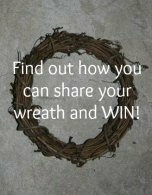 Click here to find out how you can add your Religious and Cultural wreaths that you have made for others to enjoy. Their Advent Wreath is not your traditional circle . This simple but beautiful Advent wreath. Their wreath form for this wreath, is an Iron base that holds the four candles. They then added the greenery with natural greens from the yard. 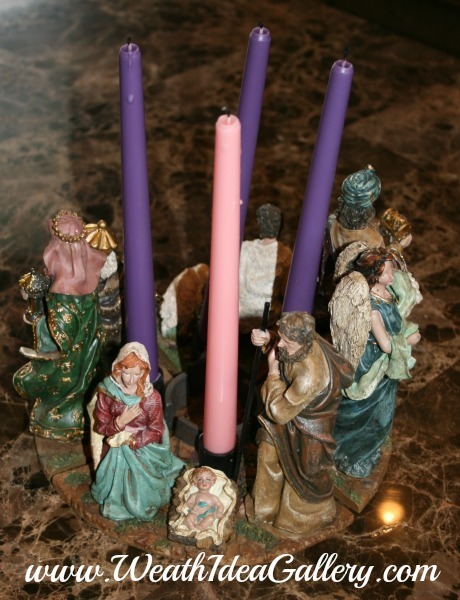 They chose to use three purple and one pink candle with the pink candle standing out in the top position. Adding few magnolia leaves, some evergreen a few berries make this simple but spectacular, quick and easy Advent wreath. 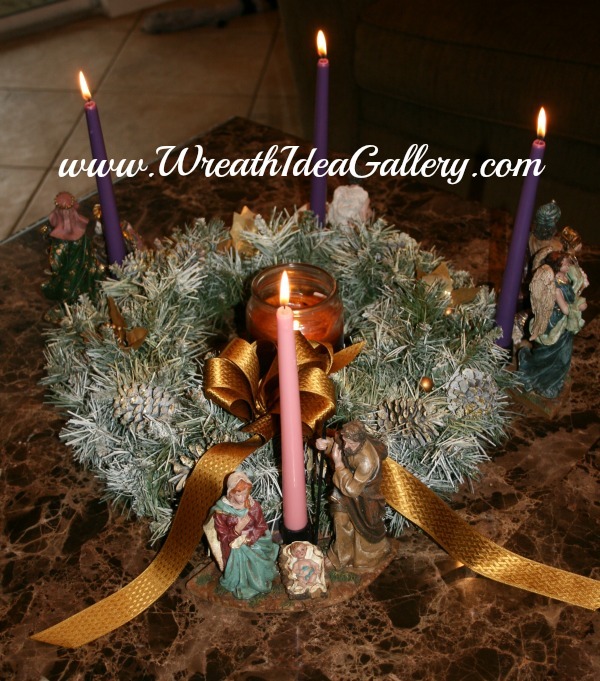 Beautiful wreath Re-purposed into an Advent wreath. 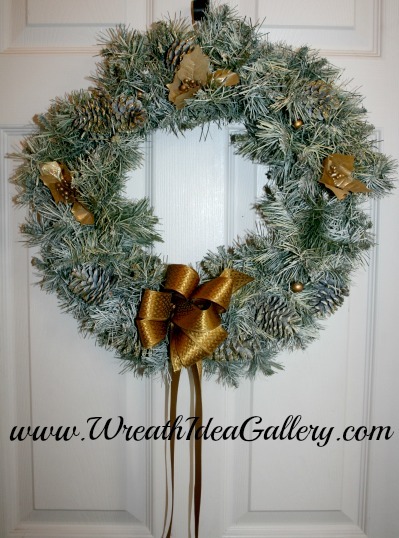 This flocked evergreen wreath with pinecones, gold leaves glitter and a gold bow was given to me several years ago. I re-purposed it into an advent wreath by adding figures from another advent wreath to give it a new look. 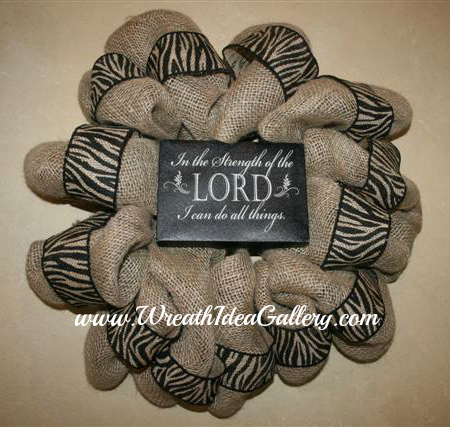 Simple Bible Quote embedded in a burlap wreath adds a warm message to any wall. Hanukkah is also known for lighting candles however there is not a wreath involved instead they light a menorah. According to About.com Hanukkah is a Jewish holiday where the menorah is lit for eight days and nights commemorating the re-dedication of the holy Temple in Jerusalem. However some Jews may choose to decorate with a wreath just the same as others decorate with a Christmas wreath. The colors for Hanukkah?…according to Wiki answers “There are no traditional colors for Hanukkah Jewish people took the colors of the Israeli Flag (blue and white) and made them Hanukkah colors. But this practice is only about 40 years old.” So that is why you see different items including wreaths with the colors white and blue. Click here to find out how you can add your Hanukkah wreath that you have made for others to enjoy.